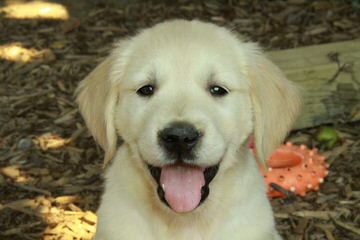 Breeder of naturally raised English cream Golden Retrievers. Puppies available from parents that have passed all health clearances, certified OFA / CHIC. Imported champion lines. Our dogs are our pets and live in our home with us, sharing our lives.